Some people gravitate toward magic users or warrior in games, but I’ve always been more of a rogue. My first and favorite World of Warcraft character was an undead rogue, and my Inquisitor in Dragon Age: Inquisition was a dagger-wielding Qunari. I like quick attacks and the ability to vanish if I feel threatened, while others prefer powerhouses, hitting enemies with slow but powerful attacks. Game combat is never about just one style of fighting—even shooters typically offer players multiple types of weapons to choose from. Variety in combat not only widens the appeal of a game to a broader breadth of players, but can also influence the perception of characters, or encourage other possibilities for gameplay. Whether based in agility, brains, or brawn, combat is one of our main methods of interacting with games. A varied approach gives players the ability to choose their own method of progression. A Wide Selection Attracts Players to Super Smash Bros.
Offering a ton of character choices is a mainstay of fighting games, and Super Smash Bros. is one of the best-known. Featuring heroes from multiple gaming titles, the Super Smash Bros. franchise is all about combat, but, with so many options to choose from, there’s a little something for every player. 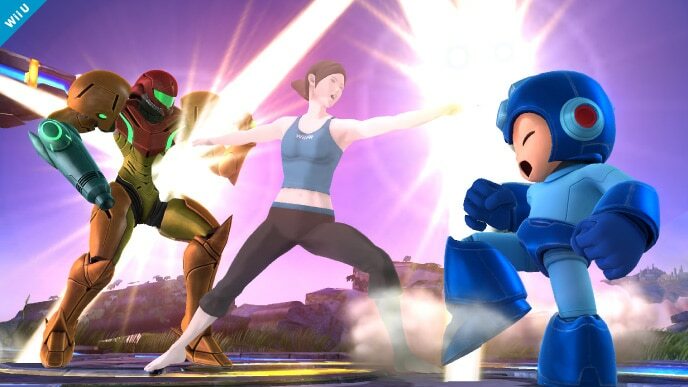 Wii Fit Trainer may not be the most conventional hero, but she holds her own against heavy hitters like Samus and Mega Man. Image Source: Nintendo. With such a large cast, it would be easy for the characters of Super Smash Bros. to feel like reskinned versions of one another. But each character plays very differently; it’s not just about picking your favorite Nintendo hero and whaling on your friends, but also picking the character that best suits the way you play. While most of my friends can’t stand playing Wii Fit Trainer, I’m always up to destroy them with graceful yoga moves; and though I’m terrible at Peach, another friend can turn the sweet little princess into a machine of total destruction. Super Smash Bros. could easily be an “all right” fighting game that succeeds primarily on branding, but it isn’t. While some heroes are undoubtedly stronger than others, each one can be deadly in the hands of the right players. Having such a wide assortment of characters to play, each one with their own strengths and weaknesses, means that just about anybody can have a good time playing it. Many shooters offer a number of different weapons for players to choose from—shotguns for those who like to be up in their enemies’ faces, sniper rifles for those who would rather take cover and shoot from afar, and pistols for those who like a bit of both. 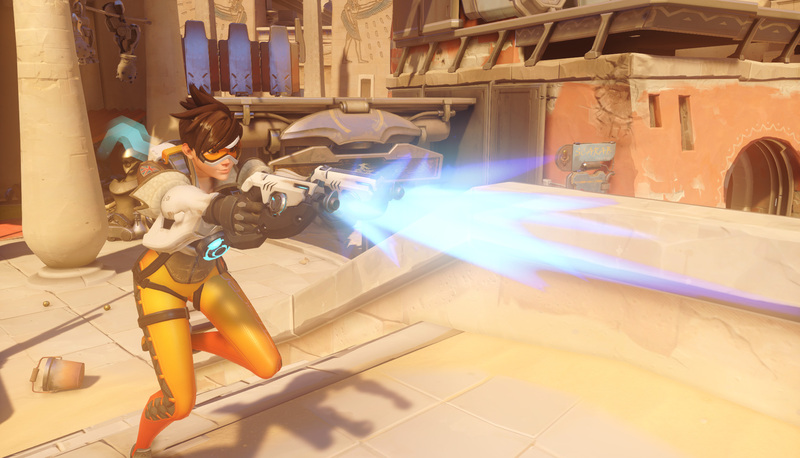 Overwatch has all of these things, but the game tackles each weapon in a unique fashion, borrowing the team roles of RPGs and applying them to a team shooter format in a way that makes it fun for even non-shooter fans. Overwatch offers players a variety of characters to play, all of which have their own unique abilities. Image Source: Blizzard. And, just as Super Smash Bros. offered up a big selection of characters to pick, Overwatch’s class-based gameplay means that players have a multitude of roles to choose from—you can play offense, defense, tanks, or support, and there are even multiple character options within each role. Like sniping? Great, because you’ve got both a healing and damaging sniper to choose from. Like to tank? Well, are you a no shields/high health tank, or a tank who also wants to smack down with heavy damage? Either way, Overwatch has you covered. Where Overwatch really shines, however, is in its flexibility. One of its biggest claims to fame is that you’re not locked into a particular role; if your team’s defense is suffering, simply return to the base and choose a character to pick up the slack. If your opposing team is comprised entirely of Meis, that’s a good time to go with a sniper. Flexibility in combat is built right into the game, encouraging you to experiment with multiple characters rather than focusing on developing your skills with just one. You never know what challenges each match will bring until you’re in them, and having the ability to switch gears with another hero at a moment’s notice means you’re always able to respond to your opponents’ shifting strategies. Picking a character usually means choosing your combat approach for good—no take-backs. In a game like World of Warcraft, choosing a rogue meant I was locked in as a damage-dealer unless I wanted to start over with a secondary character; I couldn’t switch to a sword and shield just because I was dealing with a tougher enemy. In the upcoming Troll and I, however, that’s not an issue. You play two characters—the eponymous Troll and a young boy named Otto—both of whom need the other to survive the threats of the Scandinavian wilderness and a band of bloodthirsty hunters. While Troll has the brute strength his kind is known for, Otto is nimble and quick, making them the perfect pair to take on the threats they encounter together. Otto and Troll each boast a separate set of skills, but both are equally necessary to fight the enemies and solves the puzzles of Troll and I. Where Troll and I sets itself apart is in letting you control both characters. If, for instance, you find yourself struggling with a set of enemies as the quick but weaker Otto, you can switch and give them a hefty kick with Troll instead. You’ll encounter various obstacles throughout the game—some solutions will require brute strength, while others may call for a feat of agility instead. That’s the clever thing about Troll and I—even combat mechanics tie into the core themes of friendship and survival. Separating their strengths, but making both protagonists available at any time, emphasizes how much these characters need one another without forcing players to choose whether they’d prefer to be big and brawny or small and quick. A lack of balance is the main criticism players have for games with multiple combat styles, but a Bastion or Bayonetta is only as good as their player. Variations in combat styles allow players to customize their fighting tactics, which opens up gameplay to include elements of strategy and brute strength rather than just prioritizing one or the other. It also encourages team play, whether that’s forming a raid group in World of Warcraft, choosing the right roles for an Overwatch group, or creating an atmosphere of companionship in Troll and I. A game that accommodates both the quick and violent rogue and the slow and steady tank is a game that encourages experimentation and embraces the fact that not all players play the same way, making the gaming experience more fun for everyone. Troll and I puts you in control of both a mighty, mythical troll and a young boy as they help each other survive a world bent on their destruction. Preorder your copy today!